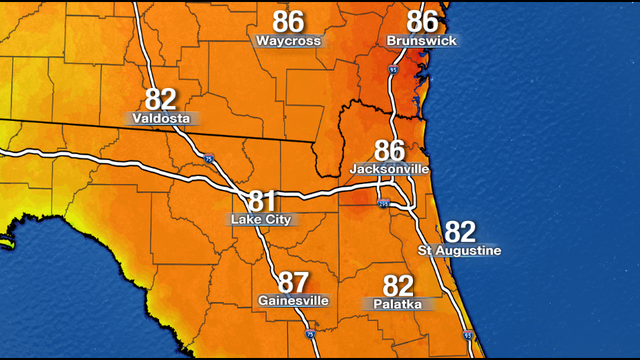 JACKSONVILLE, Fla. - A Jacksonville judge has now signed an order freezing the assets of a Jacksonville-based roofing company that’s the target of a state investigation and lawsuit over jobs that were never completed. Last week, the office of Florida Attorney General Pam Bondi filed a lawsuit against Carlson Enterprises, LLC, and its owner, Adolph W. Carlson. The lawsuit, and a motion filed later, asked a court to freeze the company’s assets so that customers could potentially get their money back. The asset freeze includes prohibiting the company from cashing checks or depositing payments from customers, and the company must also submit financial statements to Bondi’s office. Since Jan. 1, the Florida attorney general’s office has received 64 consumer complaints against Carlson Enterprises, either submitted directly to the state or to the Better Business Bureau. According to court documents, almost all of the complaints claim that Carlson Enterprises is entering into contracts with customers for roofing work, and taking money from customers and their insurance companies, but not performing the roofing work. Customers who have tried to find out the status of their repairs have not had their calls to Carlson Enterprises returned by company employees, according to the lawsuit. The I-TEAM has talked with two customers, a Westside homeowner and the director of an Orange Park day care center, whose property sustained roof damage after Hurricane Irma. They said they each paid Carlson Enterprises thousands of dollars for repairs that were never made. "Carlson Enterprises took advantage of Florida homeowners, including many who were trying to pick up the pieces following the devastating impact of Hurricane Irma," Bondi said in a news release. "Taking thousands of dollars from consumers for repairs that they fail to make is inexcusable and my Consumer Protection Division will hold the company accountable." The attorney general's office also alleges that Carlson Enterprises had been seeking new customers as recently as February. The judge’s order also prevents Carlson Enterprises from enforcing a part of their contract that made customers pay the greater amount of 30% of the insurance proceeds or $3,000 if a contract was canceled by the customer. 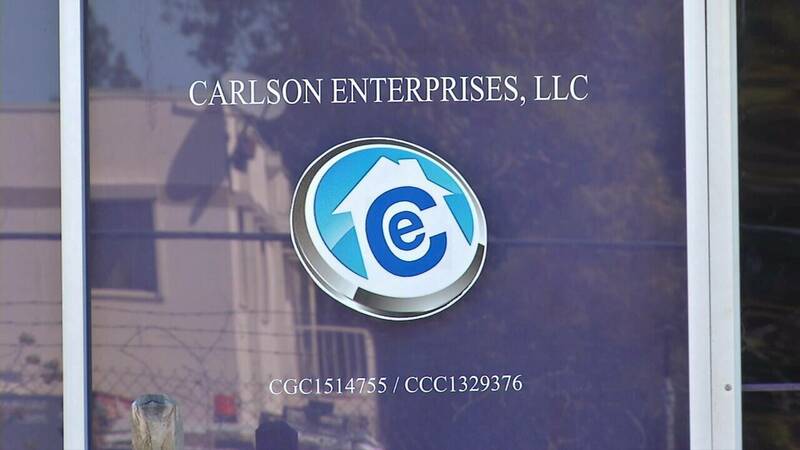 Carlson Enterprises is prohibited from destroying or altering any records relating to their finances or business practices. The company, its owners and employees can’t start or control any other businesses without first informing the attorney general’s office. The attorney general's office said that Carlson Enterprises had active offices in Daytona, Orlando and Tampa, in addition to the Jacksonville office.